The WIEN2k program package is one of the most popular DFT codes in Computational Materials Science and allows to calculate the electronic structure of solids with high precision. The WIEN2k workshop includes elementary and advanced tutorials on DFT, electronic structure calculations, magnetic, optical and spectroscopic properties. We start with detailed introductions and then have hands-on exercises with the WIEN2k program. In addition, there will also be a poster session for presentations by the participants. The WIEN2k community is steadily increasing and now we have about 2850 registered users. The WIEN2K code is continously updated to serve researchers in the field of Materials Science, thanks to the efforts of various contributors. 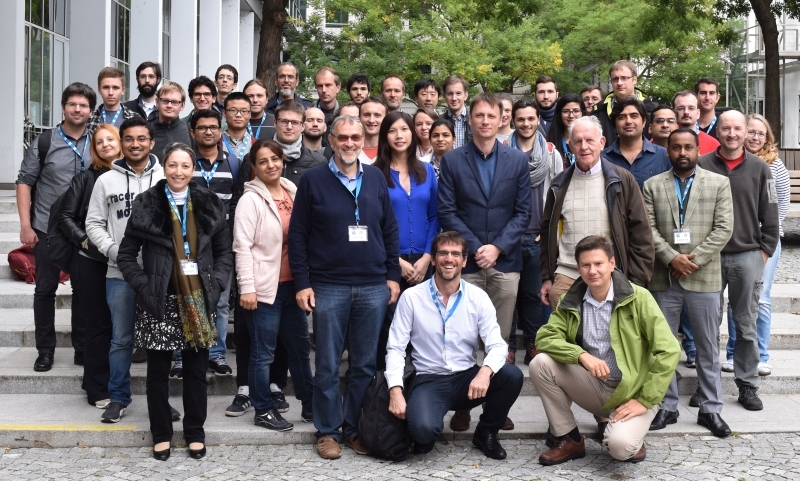 Following a long tradition and with great vitality, the WIEN2k workshop provides an arena for both, new and experienced WIEN2k users who come together and discuss elemental questions as well as the latest developments in the world of WIEN2k. Here you can find the abstracts of the poster contributions. The TU Vienna is conveniently located close to the City Center and can be reached easily by public transportation (U2 Museumsquartier; U1, U4 Karlsplatz). The lectures will take place at the Chemistry-Campus (Getreidemarkt 9, 1060) in the building "BD" on the 2nd floor (lecture rooms BD02 and GM 4 (Knoller Höhrsaal)). Please bring your own laptop + power cable. Plugs and wlan connection will be provided.